Since 1966, when our Illinois law firm was founded, our personal injury attorneys have been dedicated to effectively representing injured people throughout Chicago, Illinois and the surrounding suburbs. We have developed a proven track record of results: in fact, half of our cases are referrals from other lawyers who are familiar with our work. We are always prepared to meet the challenges of a courtroom. We work with established experts in accident reconstruction and forensics as we seek to prove fault and liability. We work with experts in specialized fields in medicine and rehabilitation, as well as vocational experts so we understand the true value of a personal injury case. We will not let our clients get less than they deserve: see our client success stories. Contact Orzoff Law Offices today for a free initial consultation. We pride ourselves on giving clients caring attention as well as the benefit of our experienced team of attorneys. 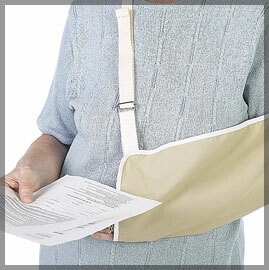 We handle all personal injury cases on a contingency basis. If we cannot recover financial compensation for you, we won’t charge you a fee. If your injury is the result of someone else’s negligence, under Illinois law you can recover compensation for lost wages, medical bills, pain and suffering and loss of your normal life. Remember, when you are speaking to an insurance adjustor or an accident investigator from the insurance company, their goal is to minimize the amount of money the insurance company will have to pay, or to find a way to deny any payment at all. You need to know your rights. Talk to an attorney who specializes in personal injury cases.